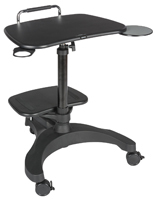 Does an adjustable podium make sense for your business? 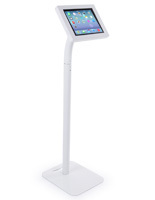 Commercial, educational, and professional facilities that use speech stand furniture understand that not every speaker is the same height. 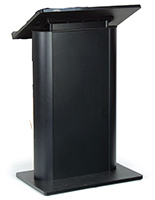 Our heavy duty adjustable podiums are designed to accommodate situations where the same lectern is used by multiple presenters, as well as businesses that require a pulpit that can be used in more than one location for different purposes. 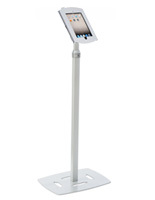 The same speakers' stand or fixture may be required for use in a single location for presentations, speeches, sermons, classroom lectures, and sales meetings. 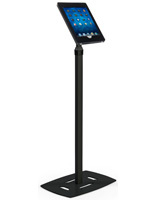 A hotel conference room hosting a corporate keynote one night and a children's spelling bee the next should not need to have multiple speaking stands on hand. 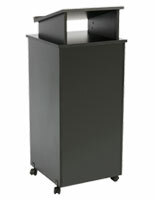 A single height adjustable podium, for example a wooden lectern in a school auditorium, may function as a teaching stand for larger classes, a debate platform for school-wide or municipal events, or a commencement speech pulpit. 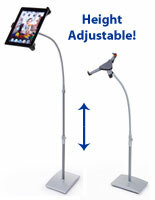 Adjustability ensures that all speakers and presenters are comfortable as well as easily visible by the audience. 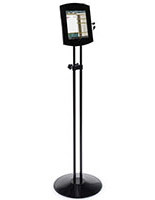 Podiums2go offers a wide selection of wooden and steel frame adjustable height podiums for use at speeches, lectures, and demonstrations in any type of facility. 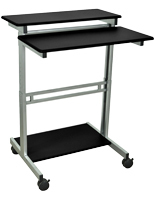 What are the most important things to consider when purchasing height adjusting lecterns? 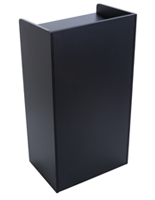 Adjustable height podiums need to be able to withstand heavy use. 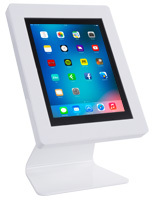 Steel frames, wooden construction, and durable molded plastic are only a few of the materials used for construction of our hydraulic, manual, or pneumatic pulpits and convertible presentation stands. 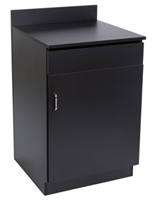 Heavy-duty lecterns and podiums ensure that the presentation or speaking furniture can handle heavy volume use in any environment, at any size. 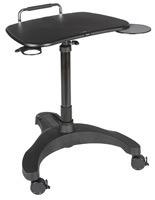 Easy height adjustment is a key design element for these pulpits. 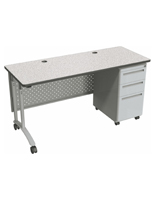 Facility managers, maintenance staff, pit crews, and sometimes even the speakers themselves can be called on to adjust speaking furniture to the required size or configuration. 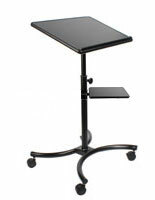 We offer a selection of supremely simple heavy duty pneumatic podiums that utilize a simple pump to elevate or lower the reading platform as needed. 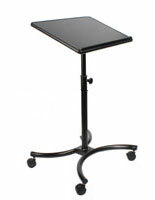 By contrast, most manual lecterns usually feature a knob or crank that is turned by hand to adjust stand height, but is still easy to use. ADA compliance is an important consideration when buying speaking or presentation furniture for an auditorium or office intended for public use. 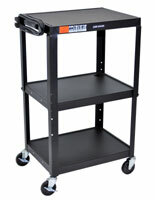 Local, state and federal building codes impacting everything from wheelchair accessibility to aisle width are required for all public spaces and must be met or exceeded. 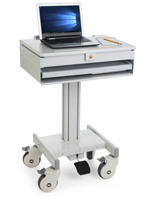 The Americans with Disabilities Act (ADA) requires high standards of accessibility that impact attendees and presenters alike. 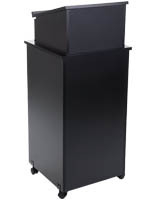 Using ADA-compliant lecterns can ensure that venues are properly equipped as well as offering a comfortable speaking platform that can be adjusted to meet any speaker's needs. 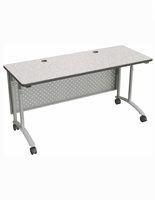 Businesses, schools, organizations, conference halls, churches, synagogues, and other places of worship all use in-facility public speaking furniture for a multitude of purposes. 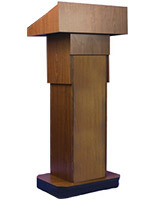 Whatever the need, Podiums2go.com offers economical commercial-grade adjustable height lecterns, also known as convertible pulpits, designed to allow one single speaking stand to accommodate a wide variety of presenters in many different situations. 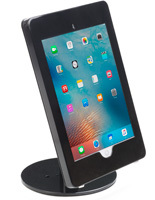 From heavy duty steel frames with automatic adjustment to simple wooden reading stands, our wide assortment of styles and finishes will match any facility, or speaker, need.